The needs of seniors and teens emerged as important in the Community Study. 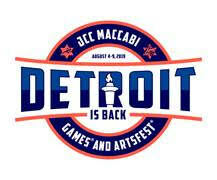 Many people in the Jewish community are unaware of all the programs available to them in Detroit. That was one of the key findings of the Community Study, undertaken this year by the Jewish Fund, which was established from proceeds of the sale of Sinai Hospital to Detroit Medical Center in 1997. 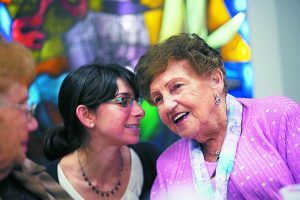 To ensure that Metro Detroit’s Jewish communal agencies have the right programs in place, the fund conducted a broad-based study, at a cost of $86,700, that assessed the most pressing health and social welfare needs of the community. The Jewish Federation of Metropolitan Detroit also plans to use the study’s findings to better allocate its resources. The Community Study had several components and took part in two phases beginning in February. In the first stage, Jewish teens ages 13-17, Jewish adults and agency staff members took separate online surveys. More than 1,400 people responded. For seniors who wanted to participate but did not have internet access, a toll-free line was made available and the survey was done by phone. The survey links were fully accessible and not controlled by IDs and passwords, which allowed survey links to be passed from person to person for maximum participation. No incentives were offered. After this phase was completed, three focus groups were held with 24 Jewish communal professional leaders so they could provide their impressions of needs in the community. Although the study “relies mostly on a convenience sample and is more likely to reflect the opinions of those most closely tied to the Jewish Federation than the entire Jewish population in the region, the content of the survey provides reasonable assessments of perceptions of community needs,” according to Dr. Matt Grossmann, director of the Institute for Public Policy and Social Research at Michigan State University, who analyzed the methodology of the study for the Jewish News. The community study revealed that the majority of community members surveyed were not aware of the breadth and depth of health and social welfare services available to them, such as financial assistance with utility bills or rides to the doctor, to name a few. Not knowing where to go to get help and concern about the cost and stigma associated with a service were other barriers identified. “People don’t seem to know where to look for help or they perhaps don’t even know that they should look,” said Linda Blumberg, Federation’s director of planning and agency relations. Federation CEO Scott Kaufman said he believes there may be some “brand confusion” out there and that Federation will be looking at its marketing efforts to better reach the community. The study led communal agency staff to see the need to re-evaluate the Jewish community’s scope of services due to changing needs. 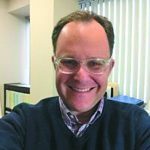 The study recommends that Jewish agencies need to continue programs and services tied to Jewish culture or requiring cultural sensitivity, “such as Holocaust survivor services and mental health services,” said Todd Krieger, Federation’s associate planning director. The flip side, the study revealed, is that community members don’t care if the providers of certain services are Jewish or not. These include health care options and insurance counseling, home modifications, in-home support services, personal emergency/response or assistive technologies, skilled home health care and transportation services. Federation agencies that provide these services can now consider whether to continue doing so, partner with a non-Jewish agency or “perhaps provide vouchers for community members to access those services elsewhere,” Blumberg said. 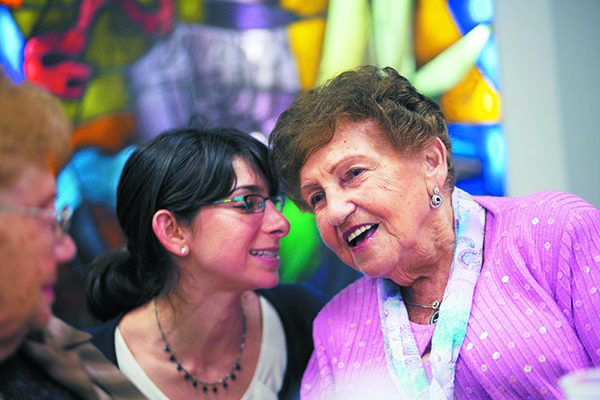 Agency staff also identified several unmet community needs, including autism services, counseling/support groups for teens and children, day programs for adults with Alzheimer’s and dementia disorders, domestic violence programs, housing and residential services without Jewish observances, mental health programs and mental health/developmental disability services, and skilled home health care. Finally, the study revealed that teens in Jewish Detroit are struggling with mental health concerns. The Community Study showed that while 93 percent of teen respondents say they have a parent or other adult they can turn to for support, a large portion are still struggling. According to the survey, 52 percent of teen respondents said they or their friends were struggling with anxiety, and 42 percent of respondents say they struggle with low self-esteem, sadness or depression. Academic pressure and difficulty with schoolwork seem to be the major drivers for these health challenges. Other concerns cited by teen respondents were eating disorders (25 percent), bullying (22 percent) and drug use (17 percent). When asked what programs and services they or their friends would benefit from, teen respondents’ most common suggestions were subject tutoring, stress management, college testing preparation services, job shadowing programs and after-school counseling/emotional support. A high percentage of teens were also interested in volunteer opportunities, youth activities and fitness programs. “We absolutely achieved what we were looking for with this study: to identify some gaps and high-priority needs,” the Jewish Fund’s Sosnick Schoenberg said. “The real opportunity now is working together with other communal agencies to address those needs.” She added she is hopeful the study will also inform donors where the needs in the community lie. Federation plans to meet with other Jewish agencies and explore the short- and long-term health and social welfare needs of the community to create a comprehensive, collaborative plan to ensure agencies are providing the right services today and into the future in the most cost-effective and impactful way. Those conversations have begun, but there have been “no answers yet,” Blumberg said. 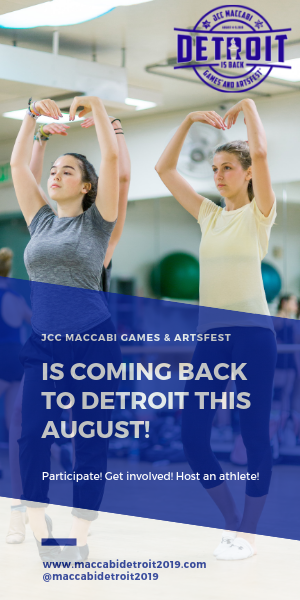 Although the study gave the Federation and Jewish Fund a good idea of the needs of the community, a more detailed snapshot of the Detroit Jewish community is needed, Kaufman added. It’s been more than 10 years since the 2005 Detroit Jewish Population Study, last updated in 2010. Kaufman said the Federation would like to do a new study and is looking for funders to make that happen. Kaufman hopes to have funding in place for the study by the end of the year.